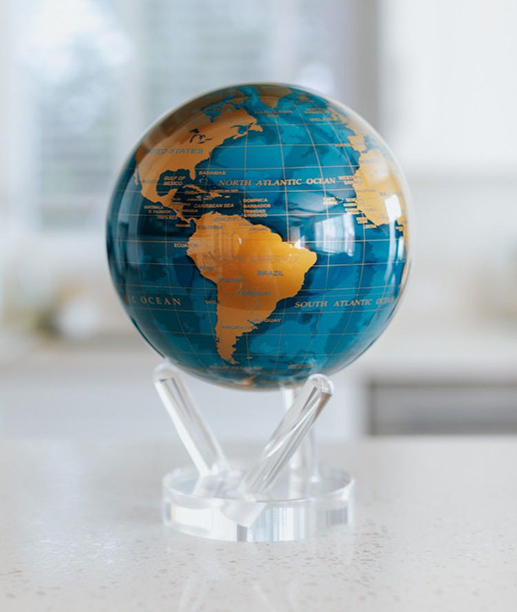 Your Globe will comes with a acrylic disc to rest the globe on. No batteries or power cord needed, the globe is powered by natural light and the earths magnetic field. We've taken one of Monet's most prized works and reimagined it into a spherical form that captures the full depth of color and detail. The bulb field is comprised of brightly colored flowers while a rustic windmill offers a stark contrast with its worn appearance. As the globe spins, you're able to fully appreciate every detail up close.